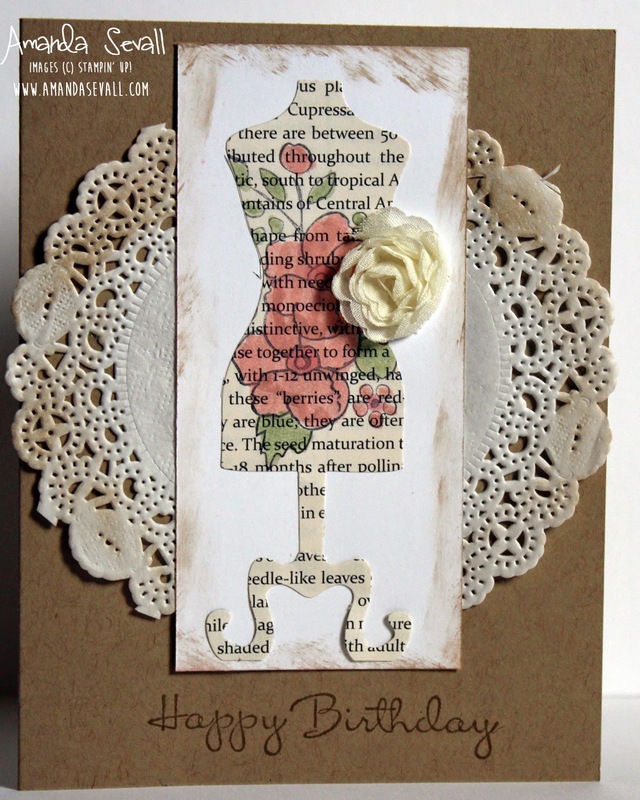 Amanda Sevall Designs: 365 Cards: A Vintage Dress for a Birthday! Okay, one more dress card for you today! 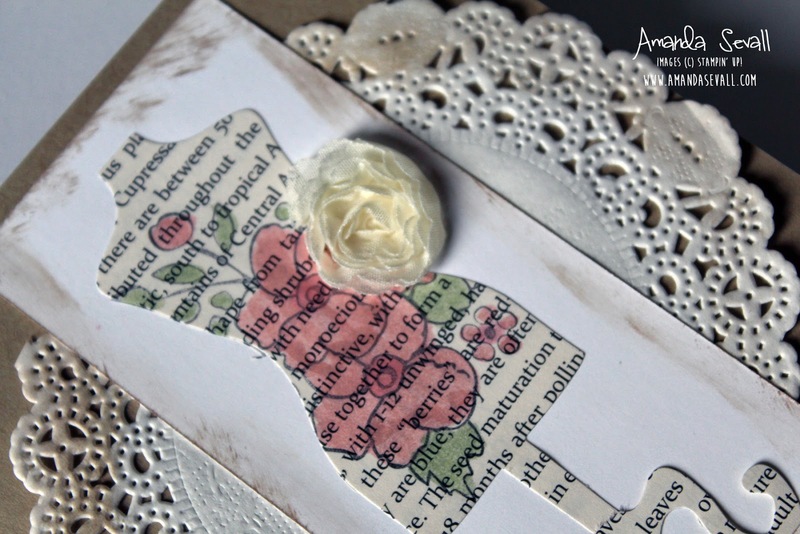 This one is based on a card kit that Stampin' Up! was selling for a while. Sometimes it's fun to copy a card from Stampin' Up! 's catalog (in this case kits) to learn something new.... It definitely made me think creatively! Soft colors, feminine and really pretty in person! I really loved stamping on patterned paper. What do you think of the stamping on newsprint patterned paper? There's a lot to be learned by copying others - definitely takes me out of my comfort zone!